First impressions are everything so keeping the outside of your house looking good can only send off a positive message to neighbours, guests and visitors. More than that, your property will be somewhere you’re proud to come home to. 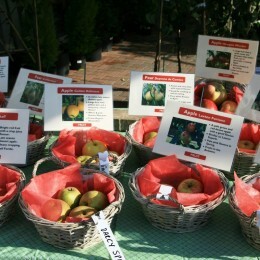 An easy and straightforward way to smarten up your front door and bring it to life is to add small trees in pots. 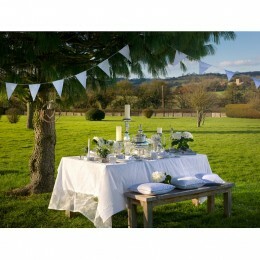 Easy to take care of, trees provide instant and refreshing greenery. 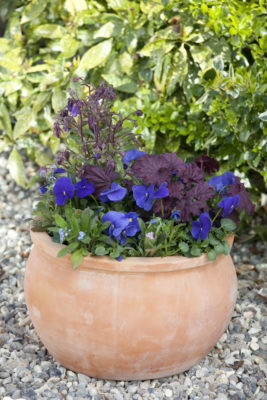 Don’t be afraid to branch out with other plants in pots dotted around your gravel areas. Easy to maintain, and perfect to add a splash of colour whatever the season. By tending to your plants out front, you are more likely to chat to passers by and get to know the people who live in your community. Making new friends when you are older can sometimes be difficult so this is a great way to strike up a conversation with your neighbours. 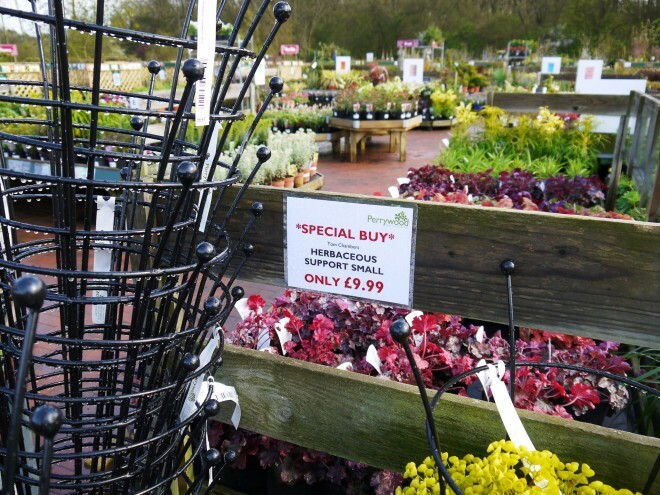 It’s easy to create something striking you could even add hanging baskets for colour. 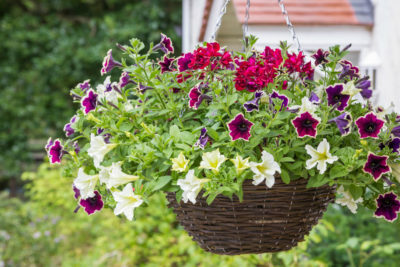 Read our how to create summer blooming baskets. 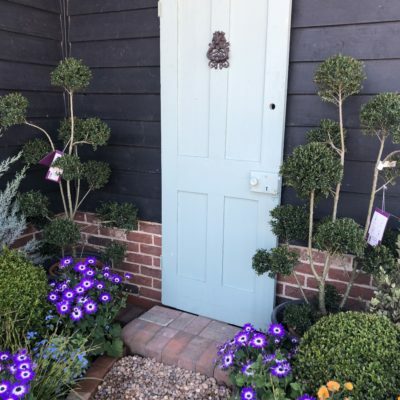 Alternatively, climber plants such as wisteria or jasmine can grow up the walls and around the front door to add a more rustic, countrified touch. 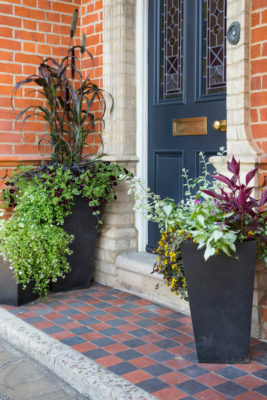 If you are not keen on painting your front door, you can always add colour by painting your plant pots or window boxes instead. Or add a painted picket fence. There is something about a picket fence that makes you want to wander through its gate and explore more. Add in a rambling rose and you have perfected the English front garden look! For a more contemporary feel add a neatly trimmed hedge. 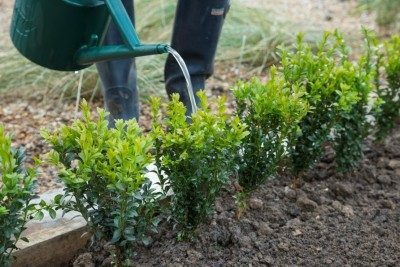 Hedges are amongst the most popular ways people like to spruce up their drive and pathways and can add a touch of privacy and even noise reduction from busy roads and shelter from winds. 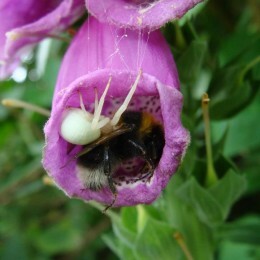 Hedges are also an excellent natural shelter and can be a mini paradise for wildlife, full of fruit and cover in fact, for every foot of hedge height, there are ten horizontal feet of shelter for small animals. 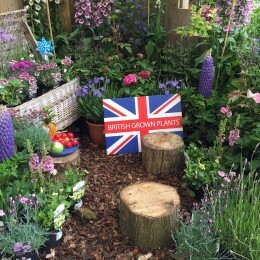 The Royal Horticultural Society continue to promote their Greening Grey Britain Campaign which tackles the decline in green space across Britain. As part of this campaign, a research project between the RHS and the University of Sheffield identified how nature and particularly green space has an impact on our physical and mental well-being – ultimately green space makes us feel better. Worryingly, the nation’s front gardens are disappearing at an alarming rate with nearly 1 in 4 UK front gardens completely paved over. There are ways to avoid paving over the whole of your front garden for parking and, as part of this campaign, RHS have developed some handy tips which you can download here RHS front-garden-guide. Ultimately, getting out front and tending to your garden will not only make you feel mentally and physically better, it will also give you the opportunity to meet new people within your own community with the added benefit of helping the environment by greening up your front garden.